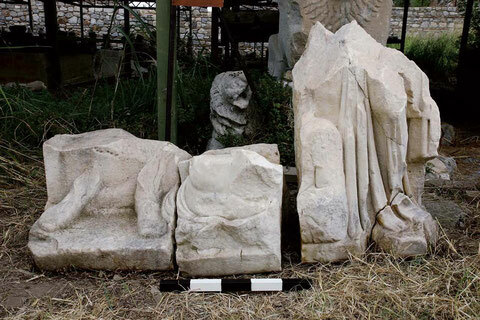 In 2006 some fragments of marble belonging to a relief-plate were discovered in Ephesos. The figural patterns correspond to a set of "personification-plates" of the Partherrelief in the Ephesos Museum in Vienna. The fragments of the investigated Partherrelief of Ephesos. 2 samples were investigated archaeometrically. 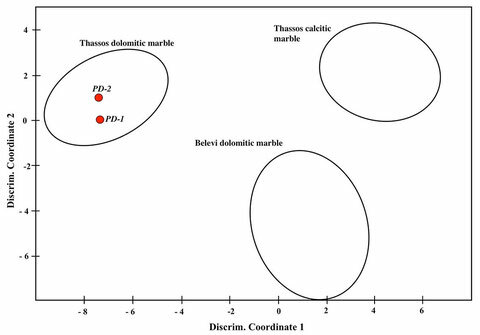 Besides the chemical and isotopic analyses the samples also were investigated petrographically. 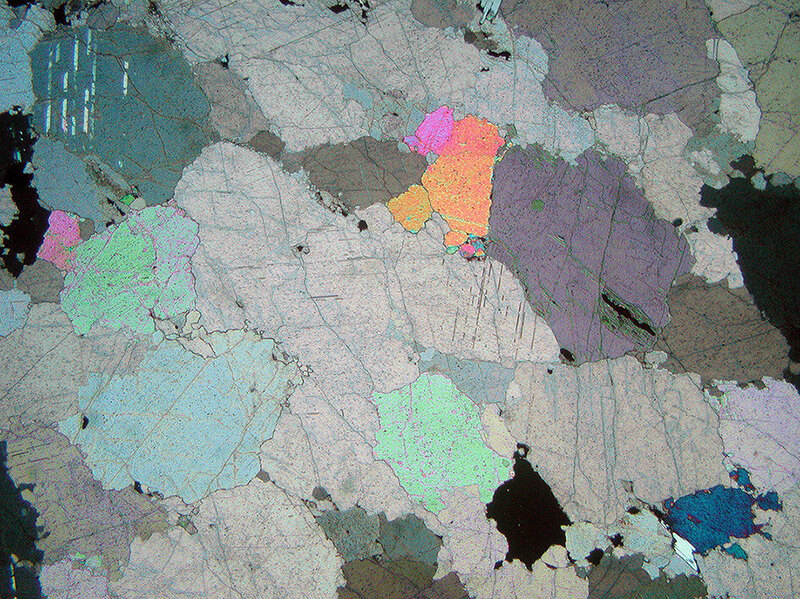 Under the microscope the marble showed the typical textures of Thasian dolomites. Microphoto of a sample from the Partherrelief showing the typical texture of Thasian marble. The dolomite crystals show toothed grain-boundaries and no twinning (lenght of image is 7 mm, crossed polars). 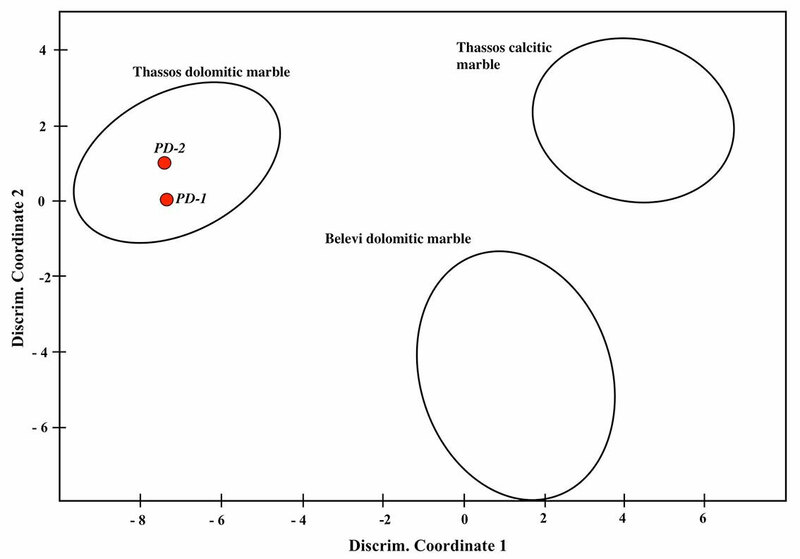 Graphic display of the results of the multimethod investigation of the samples from the Partherrelief. The analytical results clearly proof the Thasian origin of the investigated samples. This is in good agreement with the majority of the relief-plates of the monument investigated so far. Landskron, A., Taeuber, H. und Prochaska, W., 2010: Zu den Personifikationen des sogenannten Partherdenkmals von Ephesos: Ein Neufund. - Jahreshefte des Österreichischen Archäologischen Institutes in Wien 01/2010.